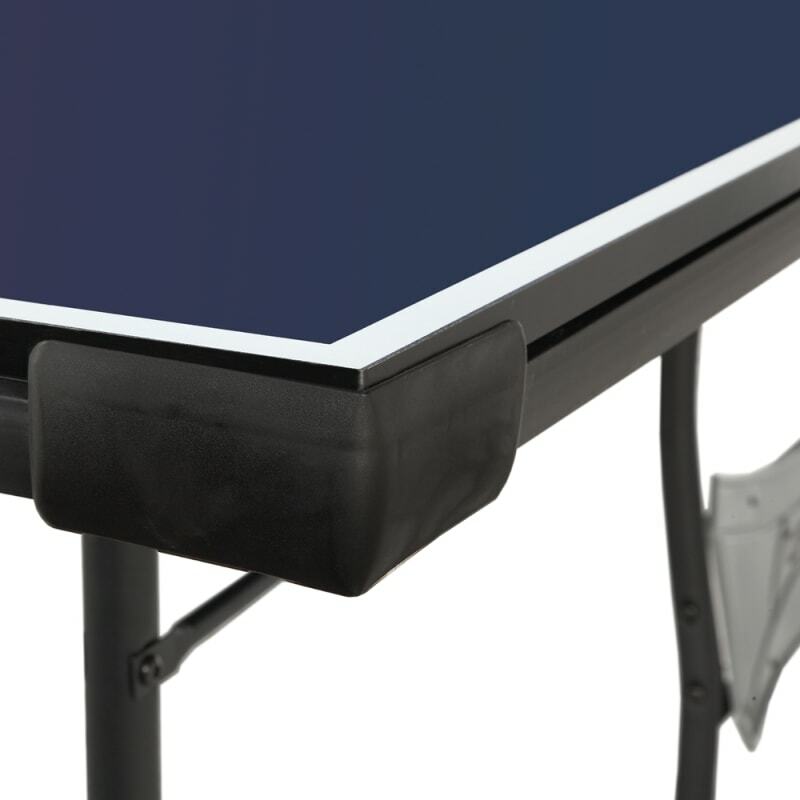 Full sized table tennis surface built to tournament standards. 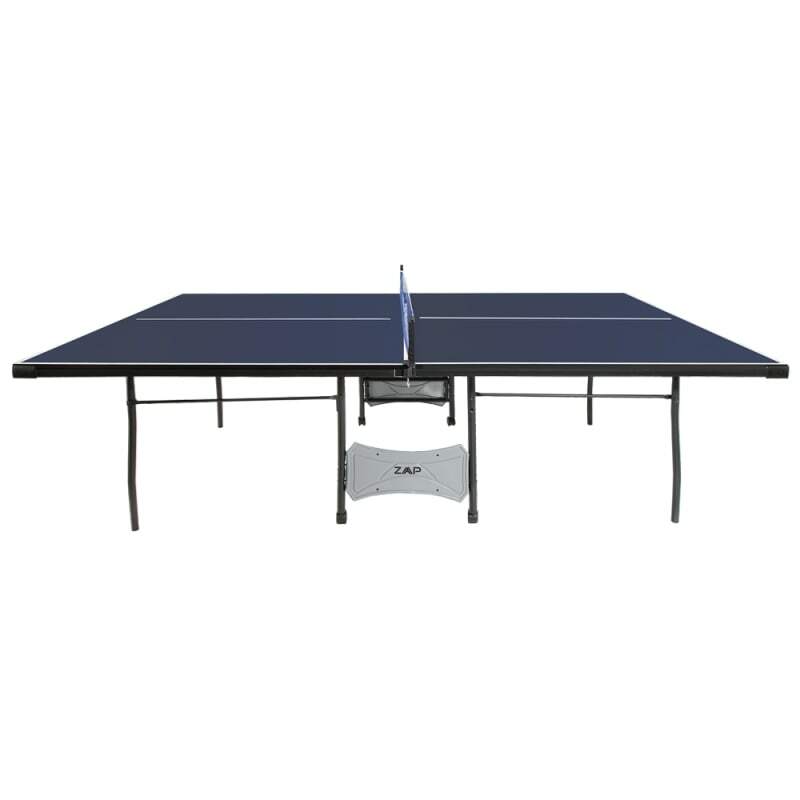 This premium table tennis table is a full size 9' x 5' model and net set, perfect for your home, club, center, or anywhere indoor. 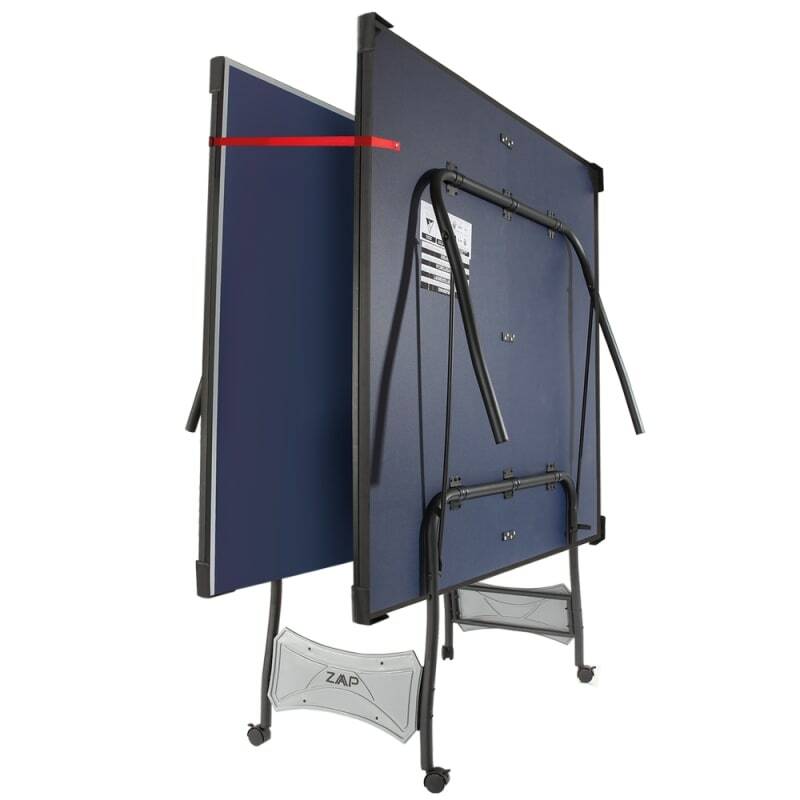 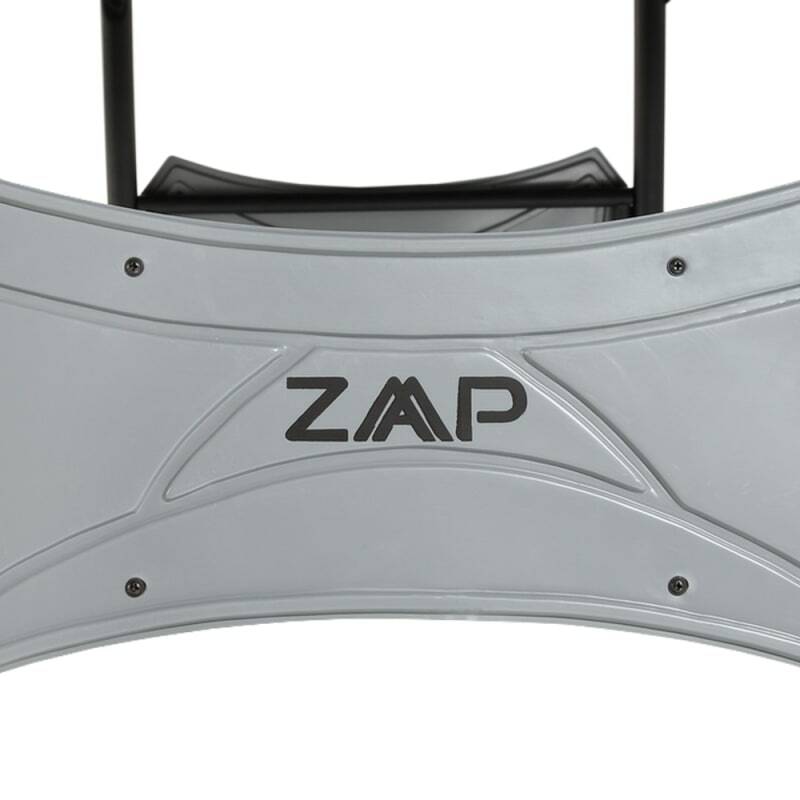 The table easily folds up for easy storage, and the four wheels make for easier transportation, also it can be used with half of it up (so you can play against yourself). 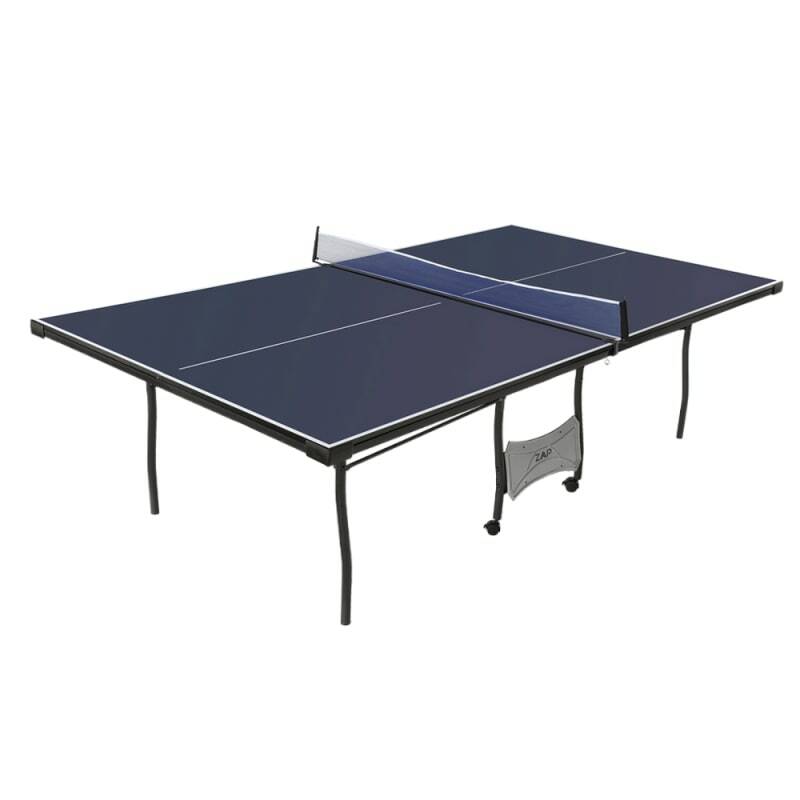 The durable table top is 5/8" inches thick, composed of a multi-layer construction for a reliable and consistent bounce. 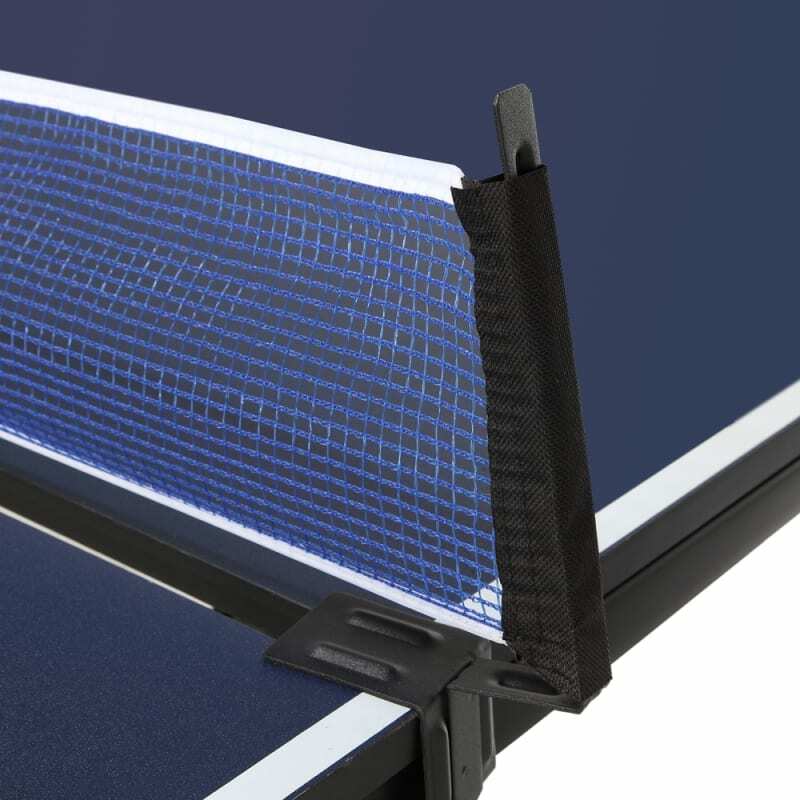 We've also included corner protection, perfect if you have little ones at home to stop them running into it. 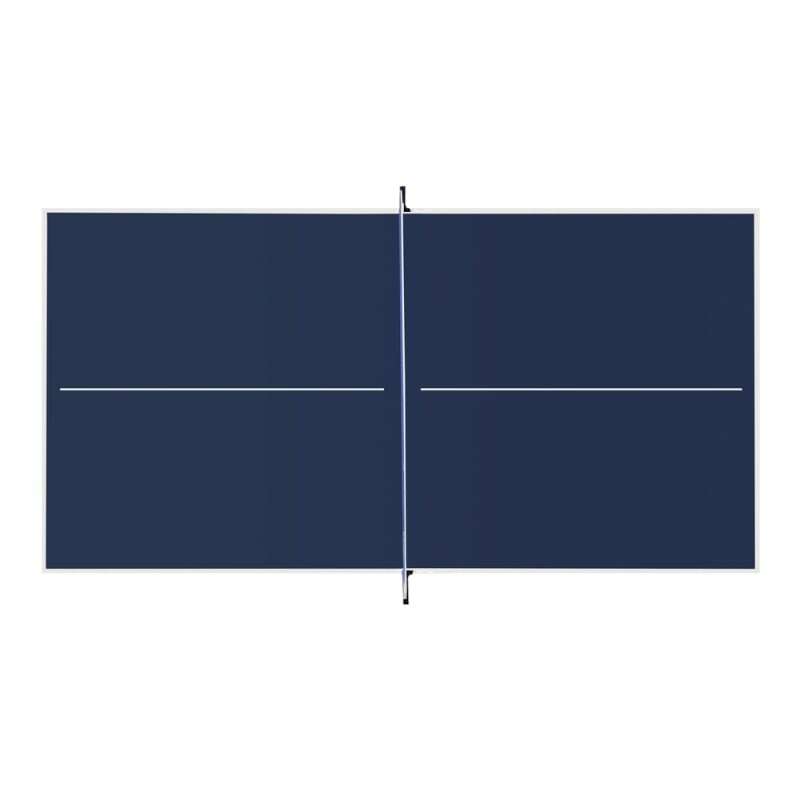 Folded dimensions: 60" x 72"x 25"
Table size for each side: 54" x 60"